We've named this piece the Charmed Kitchen Cabinet, but don't let that hold you back from finding a more creative use for it. It's versatile enough to work in the living room, bathroom, hall, mud room, craft room, or play room. The cabinet makes it easy to keep all kinds of clutter hidden behind the two cabinet doors. 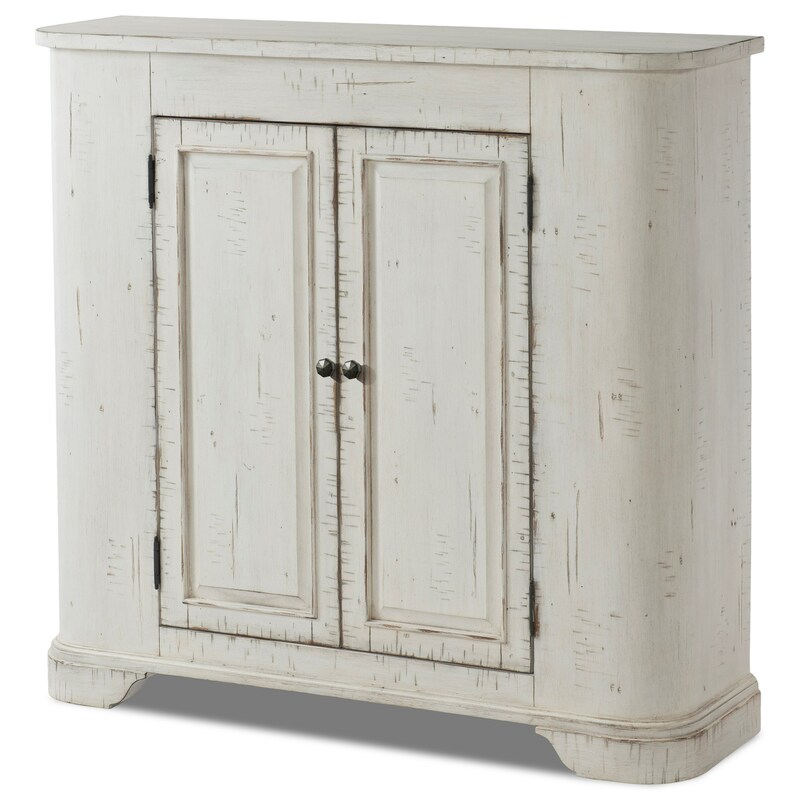 Add vintage charm to just about any room with this chest's classic shape and rustic distressed wood finish. The Coming Home Charmed Kitchen Storage Cabinet with Adjustable Shelf Inside by Trisha Yearwood Home Collection by Klaussner at Sam Levitz Furniture in the Tucson, Oro Valley, Marana, Vail, and Green Valley, AZ area. Product availability may vary. Contact us for the most current availability on this product. Wood & Finish Two finish colors star in this collection - Chalk is a white paint finish with matte sheen and vintage-inspired chatter marks. Wheat has warm honey coloration and rustic touches of saw marks and heavy distressing. See store for availability. Storage Two doors. Two stationary and one adjustable shelf inside.